This item is an engineering prototype TI 59 hand held programmable calculator in a clear plastic case. IC date codes indicate the calculator was probably built in May, 1977. 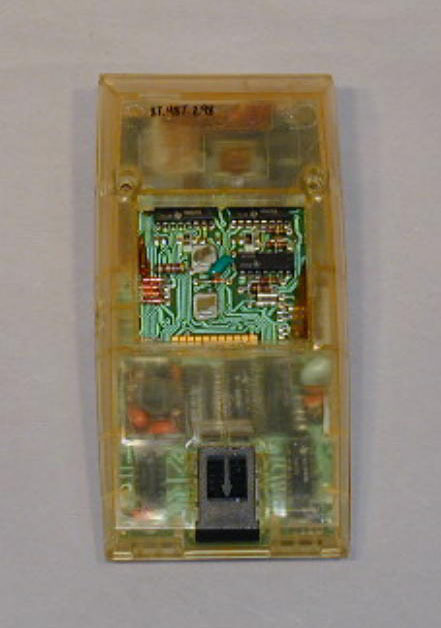 To check the case design and molds, an initial case was molded in clear plastic and assembled with the calculator assembly. Points of interference and misalignment then could be identified and corrected. This example has several points of interference which prevent the case being closed. The battery pack and Solid State Software module are not included. 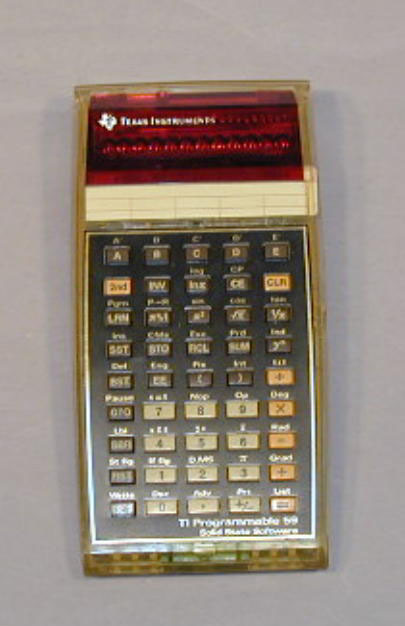 The TI Programmable 59 was introduced in May, 1977, with a price of $229.95. For additional information on the capabilities of the TI Programmable 59 and Solid State Software, see press releases in the Artifacts Historical Files.